With more than 2.2 billion monthly active users and in-depth targeting features, Facebook is one of the best places to find qualified leads for your business. Facebook also continues to make improvements to their advertising platform through new targeting capabilities, increasing audience specificity, and broadening their campaign objectives. One of these recent updates was a new ‘Ad Delivery Optimization’ for ‘Clicks to Website (Traffic)’ campaigns. The new feature will help bring higher quality traffic to your website by optimizing ad delivery to people most likely to visit your landing page. 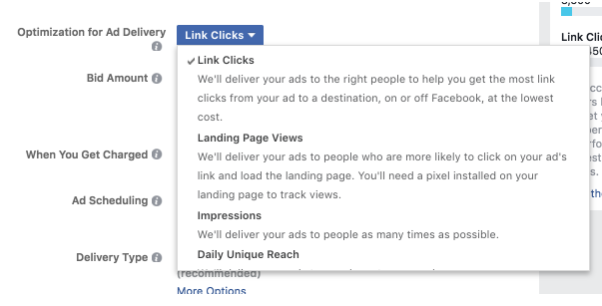 When you make your ‘Optimization for Ad Delivery’ choice for an ad, you're telling Facebook to get you as many/much of that result as efficiently as possible. For example, if you optimize for link clicks, your ads are targeted to people in your audience who are most likely to click the ads' links. 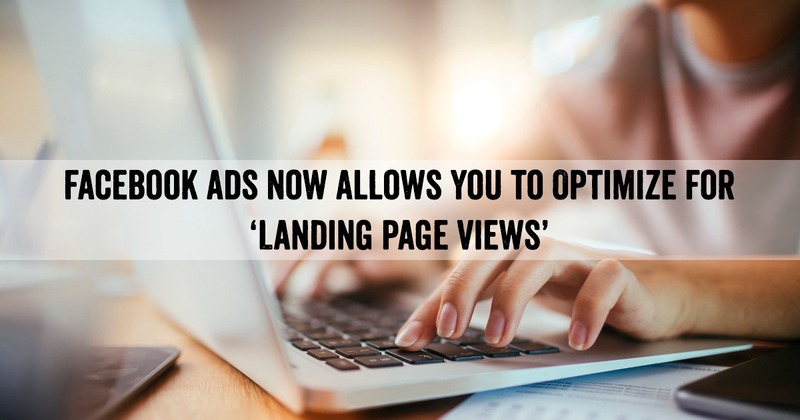 The new ‘Landing Page View’ optimization delivers your ads to people that are most likely to click on your ad’s link and load the landing page. This is stronger than a link click. A link click just means that a person clicked on a link within your ad. The ‘Landing Page View’ optimization also leverages Facebook Pixels to analyze actual site traffic to prevent mobile connectivity and page load issues being counted. How will this ‘Landing Page View’ optimization affect my Facebook campaigns? Our internal operations team tested the ‘Landing Page View’ optimization’ against ‘Link Clicks’ and found that the new optimization feature brought a 254% increase in conversion rate and a 69% decrease in cost per conversion to participating clients. And as the goal of our ‘Clicks to Website’ campaigns is to deliver high-quality traffic to your website, therefore the new optimization is a great feature to utilize. Our team will be rolling out this new release to all of our client's campaigns on March 7th, 2018. Once you send people from your paid advertising campaign to your landing, check out our friends over at Vennage. Learn how you can better optimize your landing page so that it converts traffic to highly qualified leads.